The word zodiac is derived from the Latin and Greek meaning circle of signs or little animals. 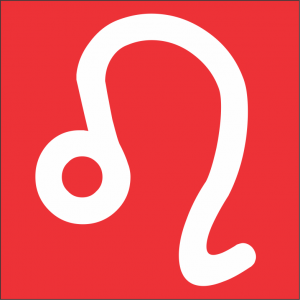 The zodiac glyphs have a long history and their appearance has remained relatively constant through the centuries. Each zodiac sign is said to be represented by an animal. In actual fact seven of the signs are represented by animals: Aries Taurus Cancer Leo Scorpio Capricorn and Pisces; three have human form: Gemini Virgo and Aquarius; one is part human and part animal: Sagittarius; and one representation is inanimate: Libra. Like the lion, those whose Sun is in Leo or who have important planets in Leo are often striking in appearence, and many are recognizable by their big hairdo. The lion is ‘the king of the jungle’ and his kingly status is reflected in a preference for leadership by those born under the sign of the lion. Majesty and pride are often defining characteristics, as well as a big heart and the need to be the centre stage. The capital ‘M’ is said to derive from the word maiden and has the dual purpose of also showing her to be a scribe, and the protruding curve circling the right hand vertical represents wheat that has been harvested. The exact origins of this glyph have long been forgotten. Originally the word maiden did not indicate chastity, but simply meant young woman. Some say that the curve circling the right hand vertical represents her carrying a baby. This loosely fits the concept that Virgo is a double-bodied sign, and the duality here is revealed by the child inside the womb or having recently been birthed. Like the virgin who sorts the wheat from the chaff, people with the Sun or planets in Virgo often show the capacity to sort what is valuable from what is not wanted. 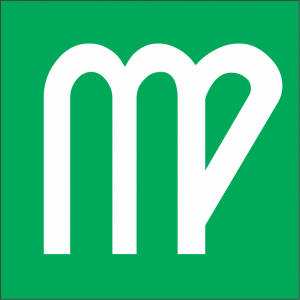 Virgo is associated with the harvest as suggested by the sheaf of wheat; and the modern association of purity associated with the maiden is reflected in the Virgo preference for cleanliness. The glyph for Gemini has a number of interpretations. The most common is that it represents the scales, and the Libran preference for balance, harmony, and justice. A different interpretation is that the glyph represents the intersection of the mundane and the cosmic, with the bulge on the upper horizontal showing the intercession of divine grace and mercy. 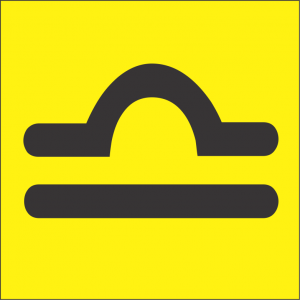 A third interpretation is that this glyph represents the setting Sun in the so-called natural zodiac when Aries is placed on the ascendant and Libra sits on the descendant. 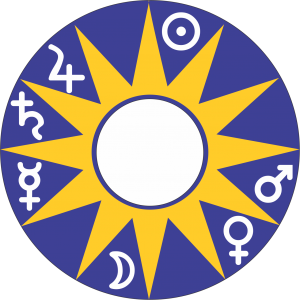 People with the Sun or important planets in Libra are known for their preference for fairness and justice, and also for harmony and balance. The preference for harmony and balance is less pronounced when Venus is Scorpio or Virgo. 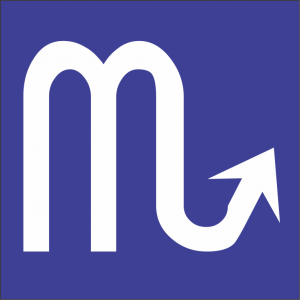 The glyph for Scorpio is the letter M with a stinging tail at the end. The source of the letter M is a mystery. However the association of the scorpion with the stinger is obvious. Scorpio are well known for holding onto their grievances and stinging their prey when the time is right. The scorpion is also a resilient creature, able to survive extreme weather conditions. And in the same way people born with the Sun or important planets in Scorpio are known for their capacity to endure hardship and also their toughness.